Do you like to write letters the old-fashioned way? 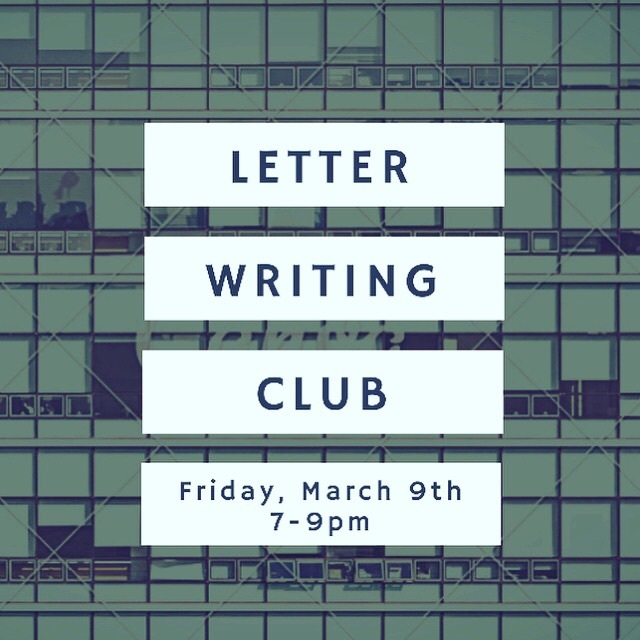 If so, join us for Letter Writing Club, a casual hang-out at Tulpehocken Exchange. We'll provide the cards and writing paper (and snacks). Come write letters to your old friends - and maybe meet someone new. Friday, March 9th from 7-9 pm.